Well, these are certainly good commanders all around. Its not exactly what I wanted, but still a good change. Im happy to see the Wehrmacht and OKW especially get some more versatility. American and British commanders are good, and the Soviet paratroopers are going to be fun to use. A bit strange that you've added this as a steam workshop mod, and not in a game update however. The Idea of Panzergrens upgraded with Panzerschrecks still having acess to the scatchel is crazy, there are players out there who are complaining about the penals stilll being too strong, what the hell should they say when they see the Objectivly best AT squad in the whole game. If this Ability gets in the game its absolutly crazy, I will deinstall the game instantly! The two abilities must cancel each other out and still would the scatchel be a bit gamebreaking because the Panzergrenadiere is a good and solid infantry unit they are really good in cqb but if you give them AT of that kind what should counter the unit ? Tanks will get snared and infantry like rifelman will get shreaded by the StG and Bundelgranate. Assault Grenadiers seem like a good first choice. The buff to the unit itself and to the MP40s is great, as close range units seem to struggle greatly in this game to be effective all the time, especially in open maps. I'm glad these changes are coming. Breakthrough equipment is great, as it gives a bunch of new uses for Panzergrenadiers and Pioneers. Finally, the Soviets aren't the only ones who can bring terror with their satchels. Its going to be nice to get revenge for every squad I've lost to a satchel. The Panzer IV H, while hilariously spawning a Panzer IV J which itself does not match the typical J configuration but more closely resembles the H, will be of limited use in my opinion as the OST already get both the Panzer IV and Panther in their base tree, so I'm not entirely sure why a slightly better Panzer IV was used to take up a slot. Tiger Ace at long last seems to have gotten the changes it so needed. All the changes to it seem to make it more useful for longer games, and is much fairer to the opposing side. I'm glad especially that the 1 per match cap was removed, that's never a good thing for an RTS game. Overall, this is a good way to give a little more life into the game, and I'm interested to see how these commanders will perform in the coming weeks. My only question is if the changes to units are only for these commanders, or for any commander with the abilities? *Edited to put my thoughts about each commander in the proper forum post. My only question is if the changes to units are only for these commanders, or for any commander with the abilities? Glad you like the new commanders so far. Yes, all abilities and units that are in other doctrines will be changed too (Pfussies, Tiger Ace, Assault Grenadiers, etc.). @Sander93 thank you for the clarification! -> is it buff? It's like watching a more expensive sandbag. Tiger is not a static unit likes King tiger and dont need "spear head"
he need "target weak point"
And sight 50->35...? WTF ?? Who told you when you using spear head tiger cant move? I'm really liking this Commander, the Panzer IVs and Assault Grens are really great and I like the changes to the Tiger Ace. Does anyone feel that the new Tiger Ace is too strong for cost however? I think its more or less right on the money for now, but I'm feel that the cost factor is where of the balancing will happen for this skill if anything at all. AI is broken in some way. Sometimes, when the mod is active, AI doesn't tech up. In one of matches it was using only conscripts and sappers. Yep I saw this too AZ244. If you destroy their HQ, then the AI activates its teching. Its very weird. Definitely interesting to see at-satchel on shrek pg, let see if Allies player practice what they preach about at-satchel against vehicle micro. But to be fair, i believe, removing engine damage with gun destory is better outcome for all at-satchel, sov and wehr. Peronally i think remove the PIV and replace with double stugs is more interesting. Stug are under used because of the AT pen not as good. But 2 of them can work. AI only produces units from frist building and they dont tech up. Is this on purpose or bug? 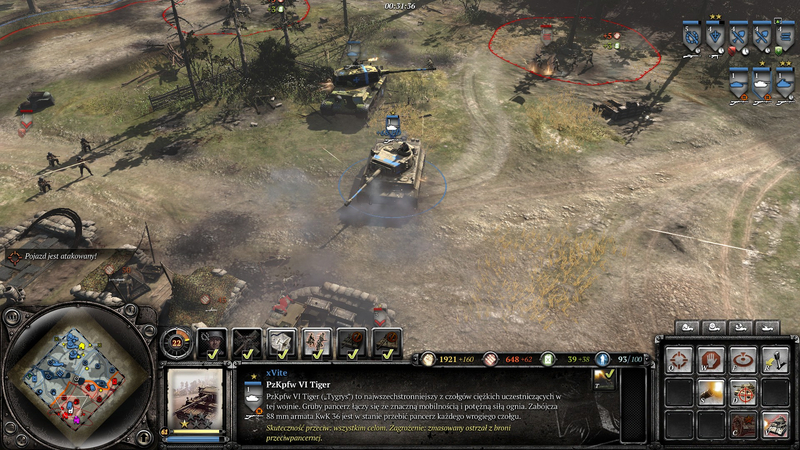 Gives Ostheer access OKW Panzer IV J from the Support Armor Korp Heavy Panzer Korps (Tier 4). Allies infantry should be given the option of upgrading to Stolen Panzerschercks too see if they still keep calling Panzerschrecks not OP at all. First of all, I LOVE that assault grenadiers are getting some love. Wehrmacht seems to lack early aggression and assault grenadiers simply weren't on par with other early aggression units. So the buffs are great and may add a viable alternative to the standard MG + 3 gren early game. I also love the pioneer upgrade, mostly for its repair speed bonus. Wehrmacht is quite short on quick repair options compared to other factions. I would suggest the 6 man upgrade on agrens is a free upgrade at vet2, because Wehrmacht is already very strapped for ammo throughout most of the early and midgame. Not having to spend ammo on upgrades for once would open up room for more mine laying, which helps compensate for the agrens lack of a faust. The satchel charge on the panzer grenadiers seems redundant to me because of the bundle grenade. A smoke grenade would be a perfect replacement. This would allow both the pgrens and the agrens to close the distance more easily, making for a close quarters Wehrmacht commander! If the satchel charge is desirable, the smoke grenade may even lock out the bundle grenade so that the satchel can still be there along with the smoke grenade. I personally think radio intercept without the sound doesn't work. Perhaps a slightly hushed version of the enemy's announcer, preceded by some static would be a quick way to implement this? If adding sound is no option, this ability is probably best replaced. I personally love spotting scopes and would love to see it on more commanders. No comment on the OKW P4. I think it's fun. The Tiger Ace doesn't really feel like an Ace without its veterancy. How about calling it a command Tiger and giving it an aura like the command p4 or command panther? The 800/250 price and 15 CP requirement should balance the extra utility it has over a regular tiger. Gives a single infantry unit the best of two worlds. Satchels been the best anti emplacements and still keeping their best anti-tank upgrade on infantry Panzerschreck! Removing Satchels from Axis infantry. Hi all! Loving the new commanders. I noticed a Strategic reserves text typo on the pioneer ability texts - nothing serious but ruins immersion. Not sure how to feel about the Tiger Ace. 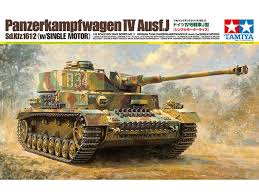 As it stands, it doesn't seem all that different from a regular Wehrmacht Tiger I.
I mean if the team is hell-bound on changing the Tiger Ace, perhaps move the Tiger Ace to the OKW Commander (so they wouldn't just have a Stock Tiger I) and give the Wehrmacht a King Tiger? This way both factions would get something fairly unique and new that fit with both doctrines.